LD PhD | Jet Pack! What is a jet pack? A jet pack is person in your life that helps you overcome the walls, or obstacles, along your path! 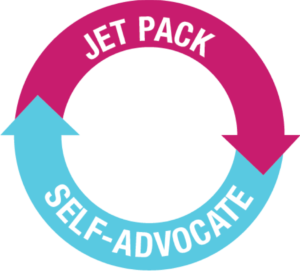 The best jet packs teach you how to advocate for yourself! The best jet packs teach you how to conquer your fears! Dr. Diedrich feared “Words of Prey” when he was growing up! The best jet packs hold you up when you need help! The best jet packs can even crack walls! Who are your jet packs? !